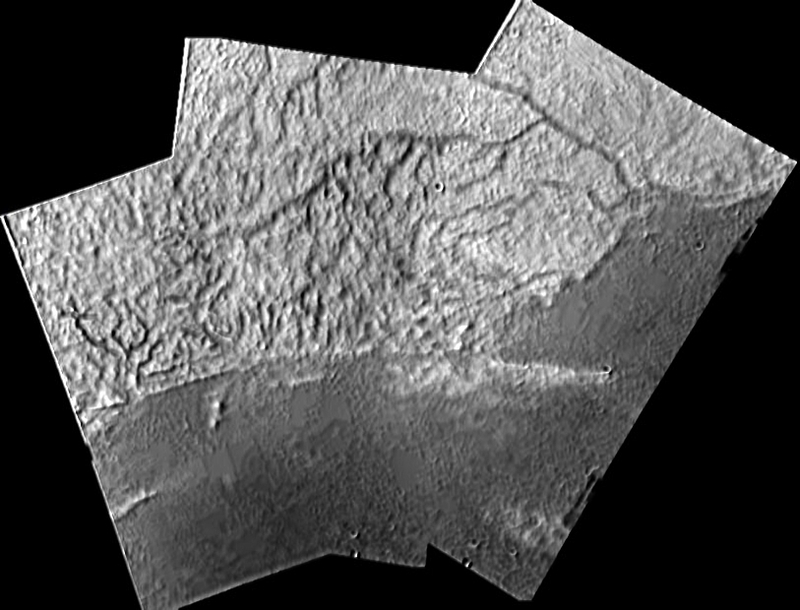 Since the images of the Cassini-Huygens probe -- descending to Titan (moon of Saturn) -- have been published on the net, the people in IRC channel #space on irc.freenode.net have processed these raw images into amateur compositions and mosaics, rendering an image of Titan. Note that, since we are enthusiasts and not professionals, we are not responsible for the correctness of these images. This page summarizes the initial enthusiast results (click the thumbnails for full sized versions). For more recent, higher quality compositions, visit the web site of Rene Pascal. More enthusiast compositions are available from Daniel Crotty and Christian Waldvogel. 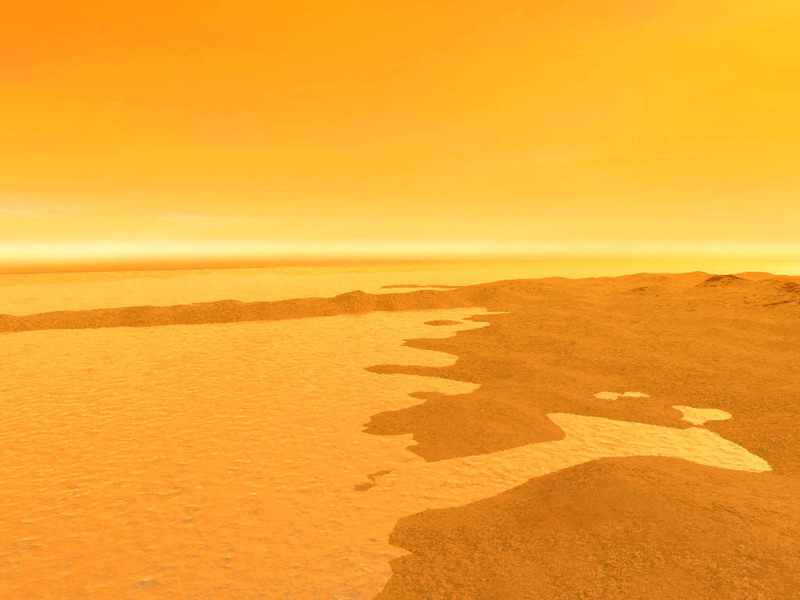 NASA, ESA and JPL have more pictures of Titan, Saturn, and the Cassini-Huygens mission. All images are copyrighted ESA, NASA, JPL, university of Arizona and their respective compositors. 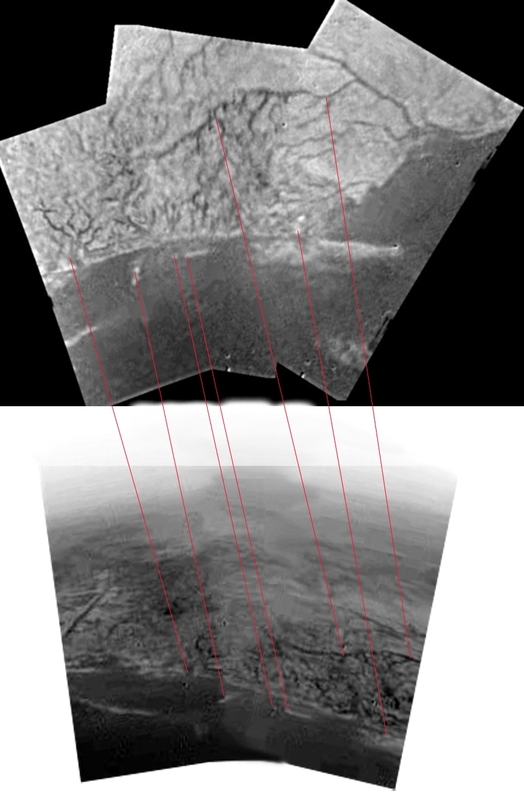 These images are here to give you an impression of Titan, and are not suited to be adopted as a scientific basis. Please mirror the images when you want to include them in your forum, blog, web page... We do not allow deep linking. Composite of a 360-degrees view during descent, using 11 of the raw images. 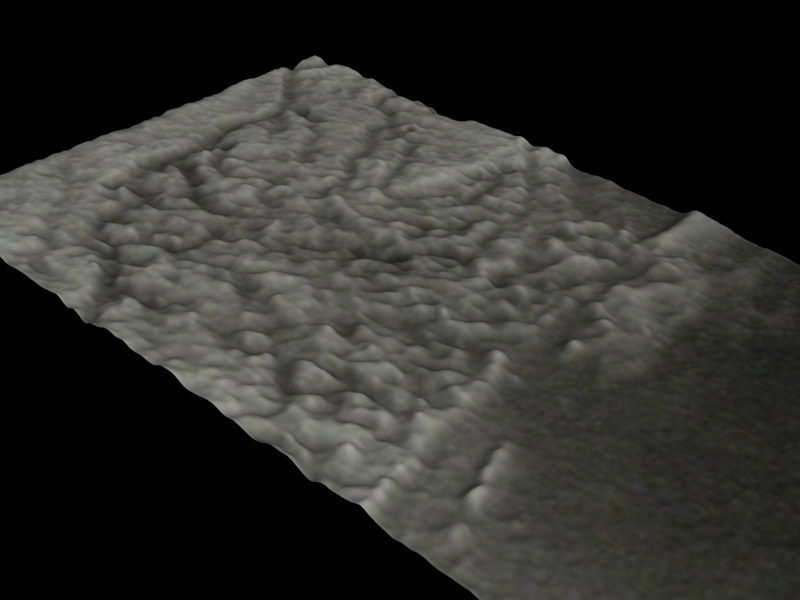 the raw images were corrected in brightness, scale and perspective and then stitched together. 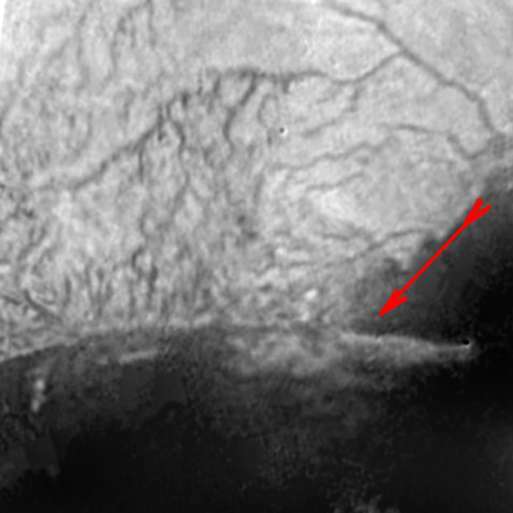 Missing areas on dark bottom and sky were completed with two-color-gradients. No information was added. 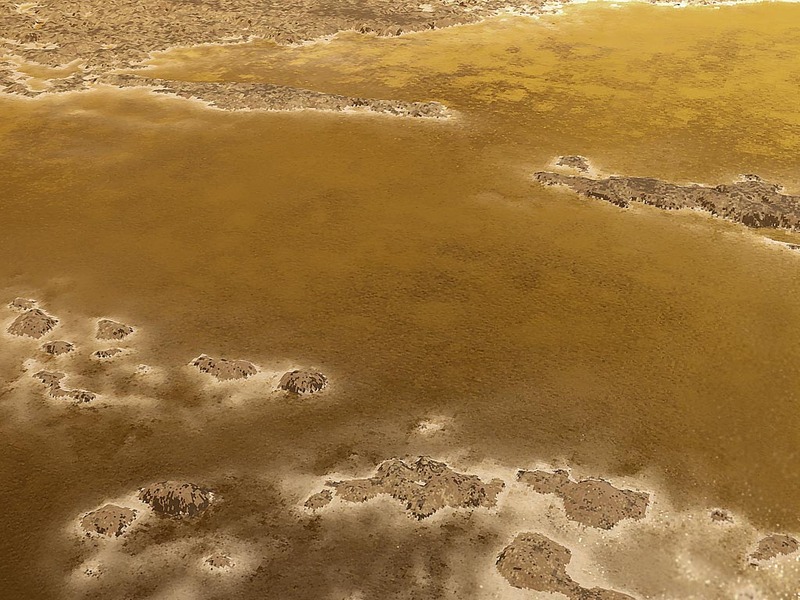 Colors in the colored version were adjusted according to the ESA/NASA's colored surface view. Cartesian-to-polar-coordinate converted version of the composite panorama. 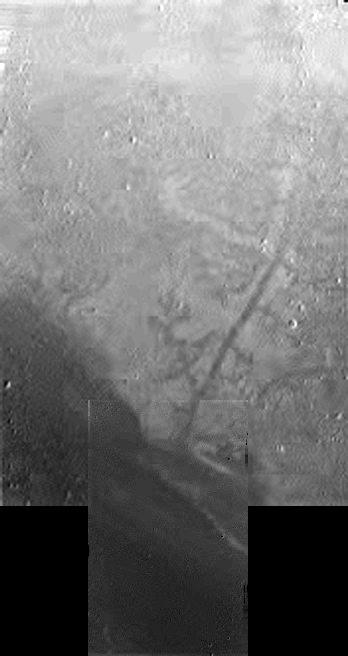 This image shows a fish-eye-like 360 degrees view, as if the probe was looking downwards with a very wide lens. 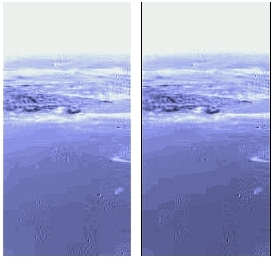 There are numerous reports online of the correctness of the panoramas released by ESA/NASA, as can be seen for example here. I'm sure better panoramas will be published during the press conference ESA is giving on Friday morning. René Pascal has been working on aligning the images, that make up the panoramas, correctly in order to make the most correct panorama to date. Make sure you have a look at his site, with all the information. 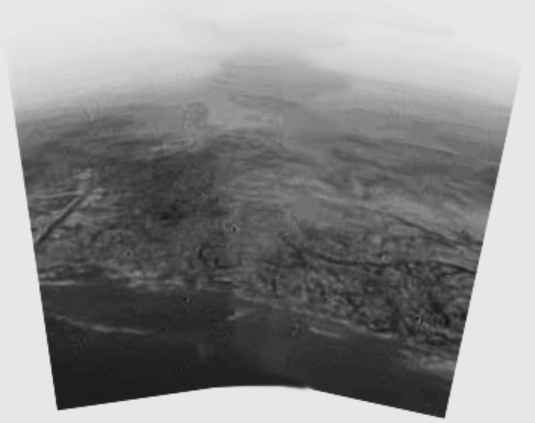 This animated gif flicks through the images of the surface of Titan and contains some strange artefacts. Near the end of the loop a vague "blob" jumps into camera view. We can only guess at what it is. Maybe a rain drop. Or snow. Or it's an artefact of the compression algorithms used. Maybe the space agencies know what it is, and tell us at their press conference. How Huygens made the descent (.swf, animation), by Matthew Brock. 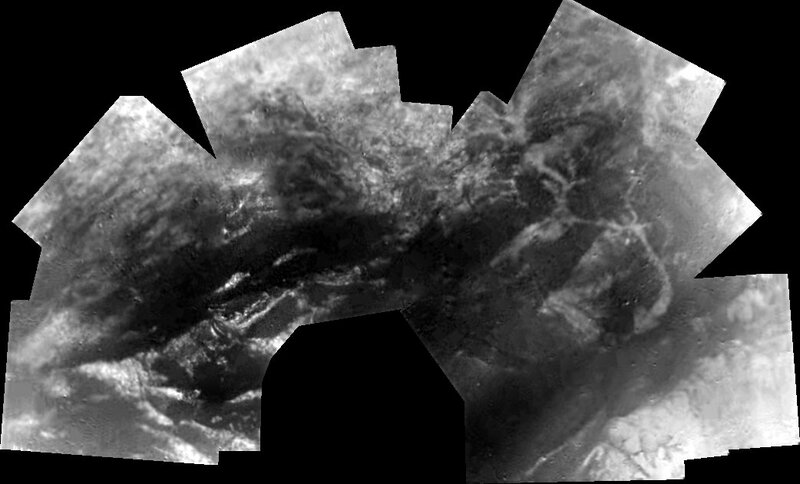 This work has been done by amateurs with no extensive scientific background, publishing the first images in under 8 hours. We'll have to wait for ESA/NASA/U of Az to deliver us the correct images, so please, take the resulting images on this page with a grain of salt (that was a disclaimer). 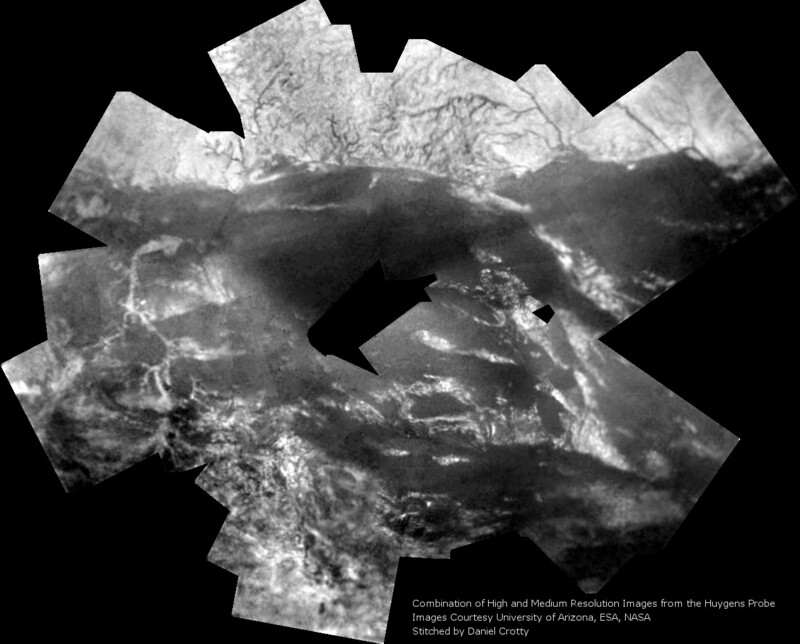 We have shown, however, to be able to bring composited images online earlier than ESA/NASA/U of Az! It was an amazing night, these results have been gathered in about 8 hours time starting with the raw images and having no idea of what to expect, or what goals to reach. 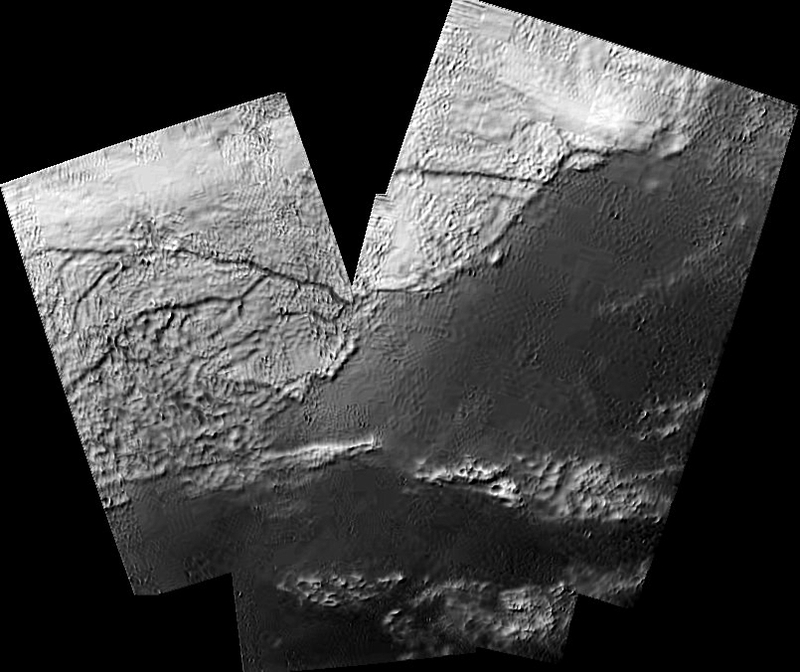 The images that have been used are the same images that ESA/NASA/U of Az is using, and we expect that the resulting images created by the professionals will be more extensive than those on this page, but they will be based on the same quality raw images as used in the pictures below, so do not expect higher resolutions from ESA/NASA/U of Az. The images have been taken with a 660nm-1000nm filter, with the DISR (Descent Imager/Spectral Radiometer) experiment on board Huygens during descent and after touch down. No other information was available that could have been entered into the results below. ESA/NASA/U of Az can combine these results of various experiments. 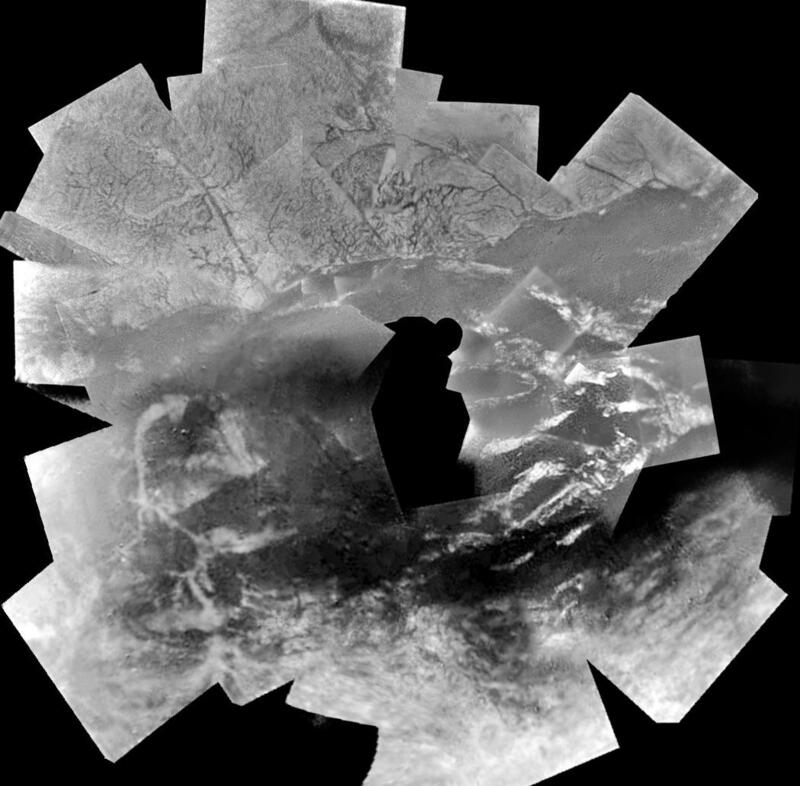 Mosaics and compositions created by ESA/NASA/U of Az can be found here. 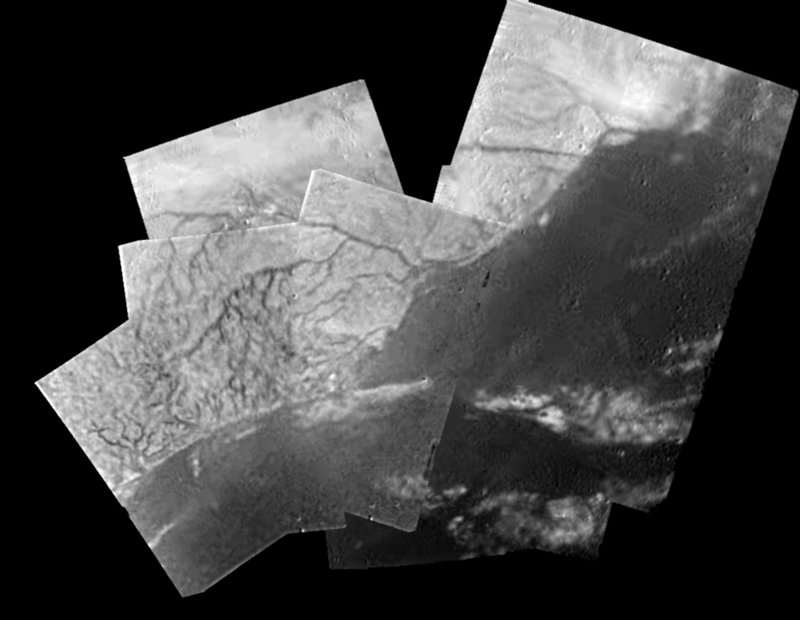 We would all like to thank ESA, NASA, JPL and the University of Arizona for the organizing the Cassini-Huygens mission, for the engineering marvel that is the Huygens probe, and for sharing these wonderful pictures with the world. The source images are jointly copyrighted by these three institutions. The images on this page are all copyrighted by ESA, NASA, JPL and the University of Arizona, and their respective creators. The compositions on this page are released into the public domain, and you are free to use them, as long as the respective owners' copyrights are inherited. 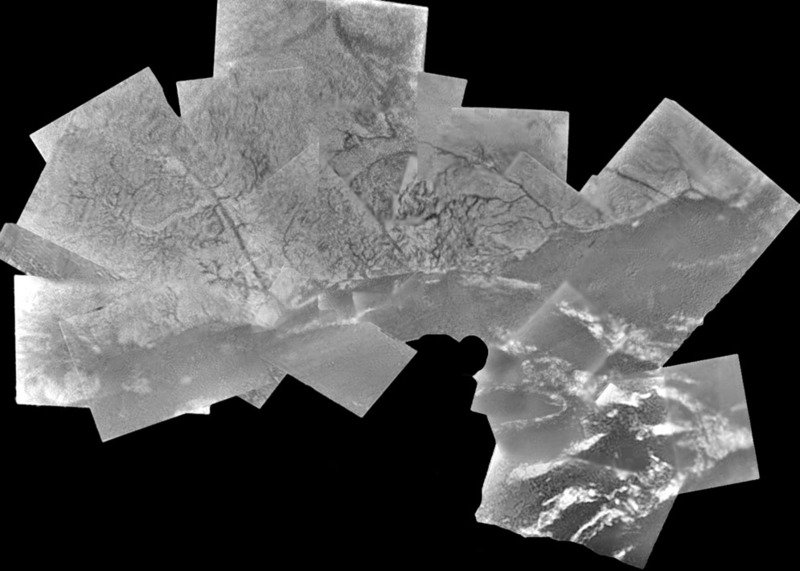 In an article of Der Spiegel Online, a spokesperson of ESA confirms that this publication of raw images, to allow open source editing and compositing, is part of a study by ESA to see if the publication of the raws is indeed a good strategy. NASA has been successfully publishing raw images of the MER project online, and ESA is now testing this "open culture" too. I have contacted the organizations for their stand point this topic, and as long as copyright notices of ESA/NASA/JPL/University of Arizona are kept, this work is legit. This list of images is compiled by Anthony Liekens, but credit is due where necessary. If you have more amateur images that should be posted or linked from here, send me an email at anthony@liekens.net. This page has been covered by a lot of (both alpha-geeky and mainstream) news media. 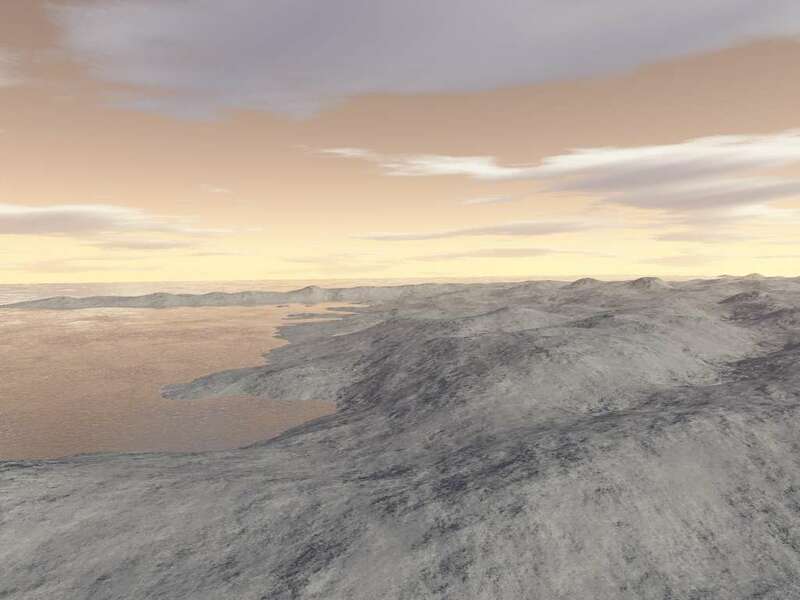 Slashdot: "Amateurs Beat Space Agencies To Titan Pictures"
Fark: "Panoramas from Titan. *WOW* is about all we can add"
All images in the above archive appear in triplets. This zipfile created by Neil Halelamien contains all triplets but split up in seperate images, for easier handling.